Lenovo on Thursday announced ThinkPad laptops with cutting-edge technologies including Intel's upcoming third-generation Core processors and the Thunderbolt interconnect, which is currently found only on Apple laptops. The laptops include the ThinkPad X1 Hybrid, which Lenovo said is its thinnest ThinkPad yet. Another new laptop, the ThinkPad S430, will be Lenovo's first laptop to include Thunderbolt, an interconnect technology that rivals USB 3.0. The new ThinkPads are also among the first laptops introduced with Intel's upcoming third-generation Core processors, which have not yet been officially announced. Intel has said laptops with processors based on a microarchitecture code-named Ivy Bridge would be available in the first half of this year. The chips will succeed current Core processors code-named Sandy Bridge, and should bring longer battery life and better graphics to laptops. The X1 Hybrid, targeted at business users, is priced at US$1,599 and will become available in some countries during the second quarter of this year. The laptop, which weighs less than 4 pounds (1.8 kilograms), will be shown at the Consumer Electronics Show in Las Vegas from Jan. 10 to Jan. 13. A new feature in the X1 Hybrid is the Instant Media Mode in which the laptop can switch from Windows to a low-power mode used in tablets to extend battery life. The laptop battery can run for up to 10 hours on a single charge. The Instant Media Mode is enabled by an open-source OS and a Qualcomm co-processor sitting alongside the Intel processor. The mode is somewhat similar to what Dell has offered in the past, a quick-boot feature in laptops based on the Linux OS and an ARM co-processor. "You can switch between the Instant Media Mode and the Windows environment and during Instant Media Mode you can watch videos, pictures, listen to music, browse the Web in this low power mode," said Dilip Bhatia, vice president of the ThinkPad business unit. The Thunderbolt-equipped ThinkPad Edge S430 comes with a 14-inch screen and will be available in June starting at $749. The laptop will be available in select markets, but not in the U.S., a company spokesperson said. 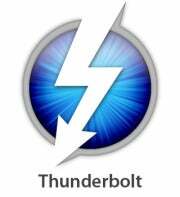 Intel last year said that Thunderbolt would reach PCs this year, starting with Acer and Asus. Sony also is a known backer of Thunderbolt. Lenovo also announced the first ThinkPad T430U ultrabook, which will be priced starting at $849. The thin light laptop weighs less than 4 pounds, and will be available in June with up to third-generation Core i7 processors, 1TB of storage and optional Nvidia graphics. Intel is trying to promote ultrabooks as a way to regenerate interest in laptops, shipments of which are falling due to the rise of tablets. Companies like Hewlett-Packard and Asus have already shipped ultrabooks based on current Core processors. Other laptops announced include the ThinkPad E430 and E530, which have 14-inch and 15.6-inch screens respectively, and will come with Intel third-generation Core processors or Advanced Micro Devices processors. These laptops, which begin at $549, do not include Thunderbolt ports.